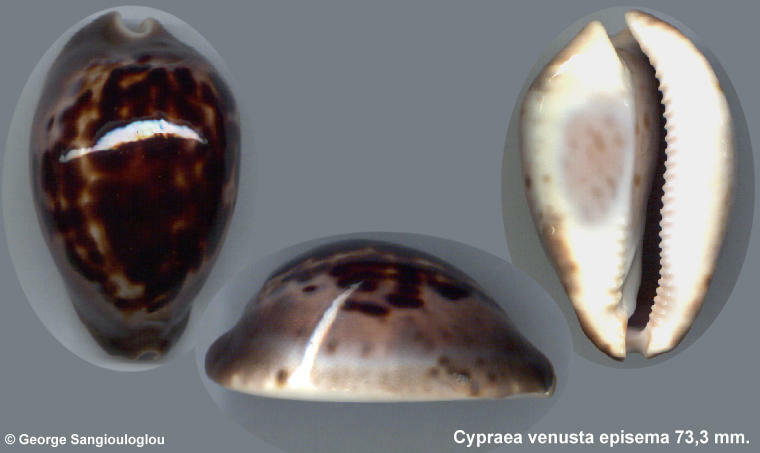 Cypraea venusta episema 73,3 mm. Outstanding, margin charcoal with a mauve blush, dorsum almost black. Hard to get good episema now.